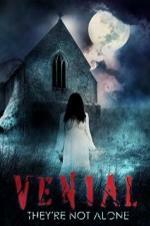 Buy or Rent Venial (2013) Movie DVD & BluRay Online! Movie Plot: In the aftermath of World War II, a woman finds out her husband has died in the war. She is devastated, and questions her strong religious tenets. Meanwhile she and her two children, who live in a very old house in the country, start noticing strange supernatural phenomena.